Horseshoe vetch is a low, spreading grassland perennial. 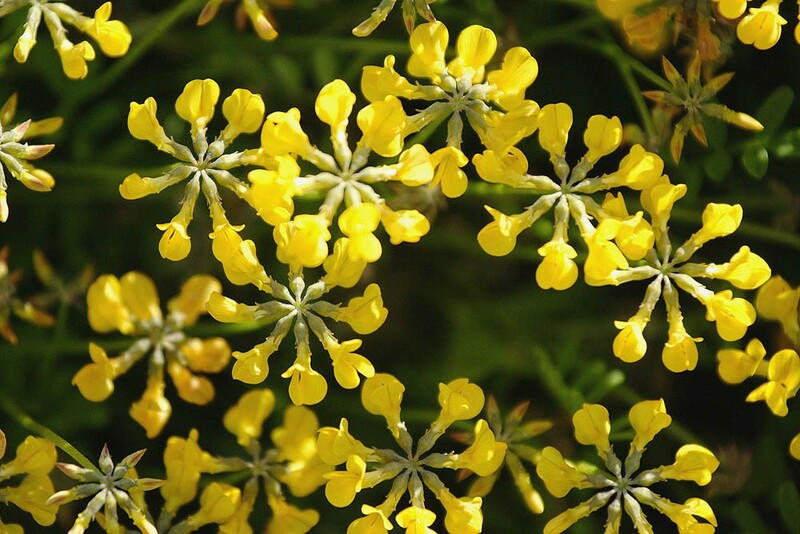 It is one of several low, yellow flowered members of the pea family found in Britain, in most have their leaves divided into three leaflets but in this species, the long narrow leaves are made up of 4-5 pairs of leaflets ending with a single leaflet. The highly scented flowers, which are in bloom throughout May and early June, are flowered by the seed pods which, when ripe, curl into a series of U shapes a little like a string of horse shoes. 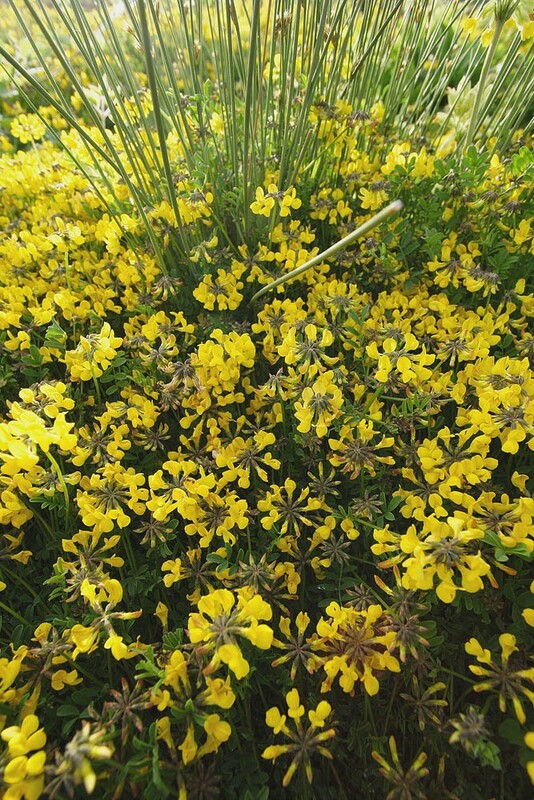 Horseshoe vetch is a long-lived native perennial of dry chalk and limestone soils. It can be found in down land, on rock ledges and on limestone cliffs. 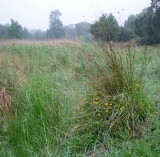 It is particularly good at colonizing bare chalk areas such as new road cuttings and quarries. 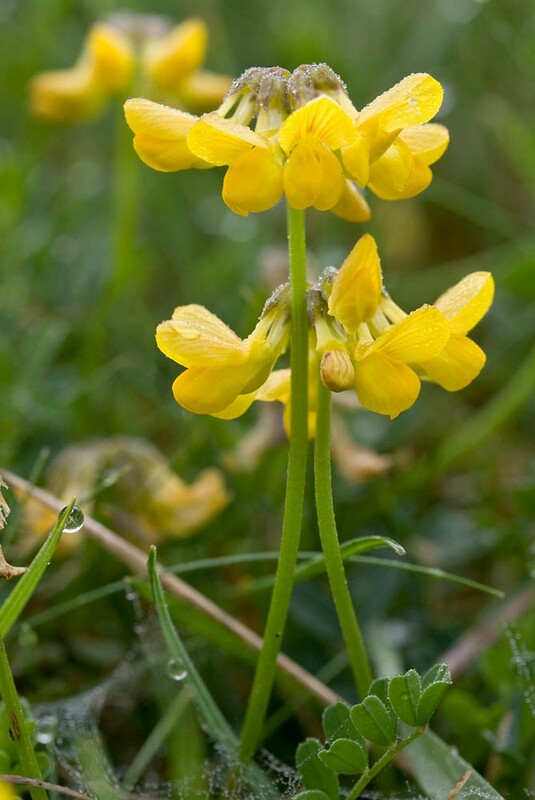 The flowers of horseshoe vetch are a valuable nectar source for a range of insects, particularly bees (including Osmia xanthomelana which is now on the verge of extinction in the UK), butterflies and moths. 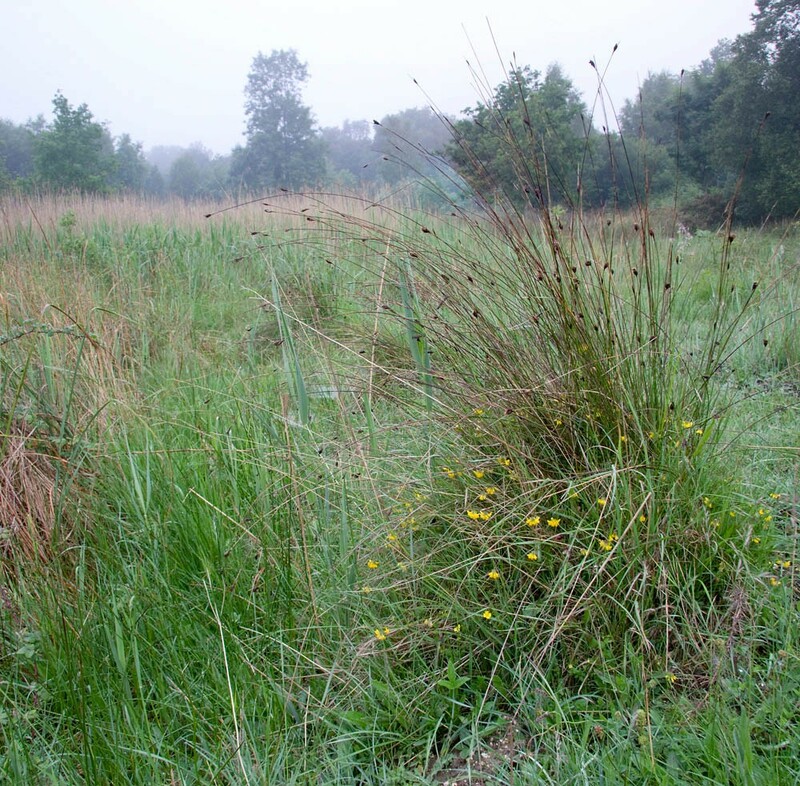 More importantly it is the exclusive food plant of the caterpillars of the Chalkhill Blue and Adonis Blue Butterfly and a major food plant for the Dingy Skipper caterpillar. These species can cope with the toxin 3-nitropropionic acid (3NPA) found throughout the plant and which renders it inedible to almost all other creatures. 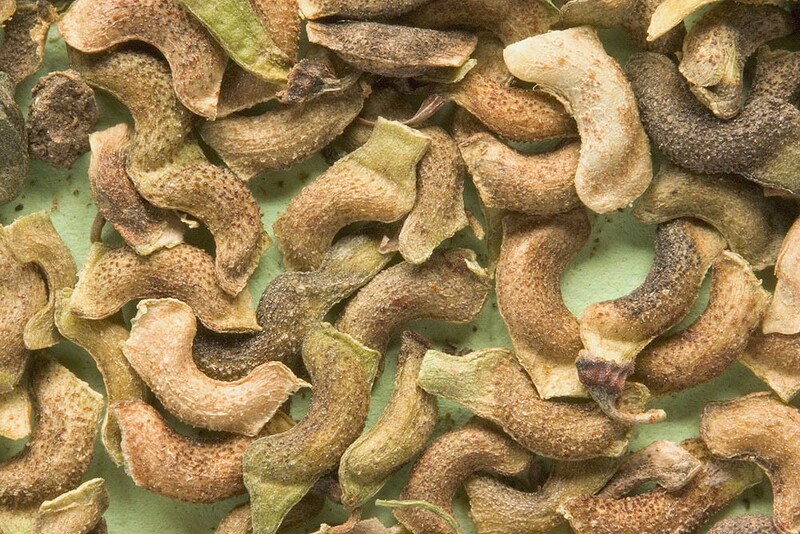 The seed of horseshoe vetch exhibits hard-coat dormancy and so may take some time to germinate. A light scarification could be helpful. 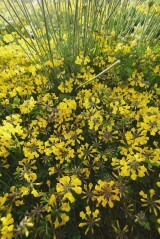 Although a plant of dry habitats seedling are prone to drought. The seed is therefore probably best to sow in the autumn.